Foxconn has displayed its latest entry to the Quantum Force motherboard lineup featuring Intel’s X79 chipset at Computex 2011. 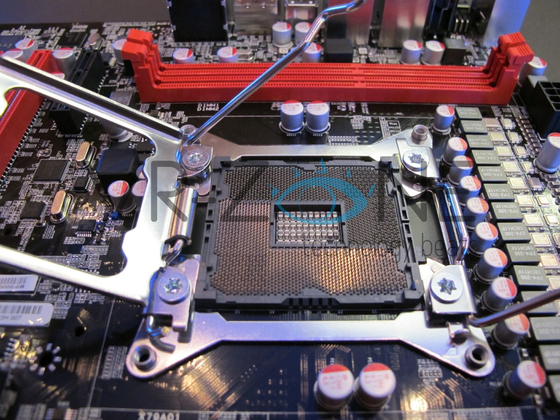 The motherboard will feature the Socket LGA 2011 socket which would allow support for Sandy Bridge-E Processors. The motherboard is an ATX sized with a Red + Black Color theme. While Foxconn didn’t detail much, However details will start to pop up as soon as the event start tomorrow. The motherboard is still in development phase as its stripped off of the Power and VRM area heatsink along with a bare X79 chipset. 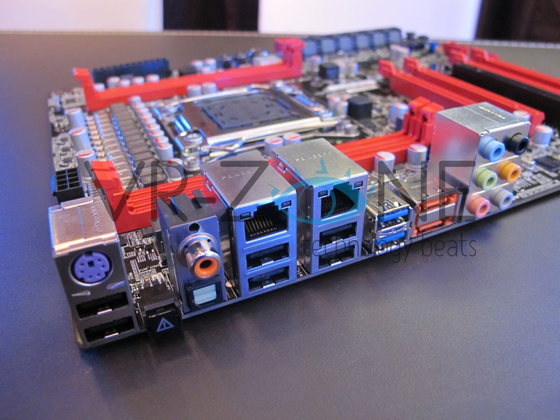 The VRM area looks and Power area looks solid enough with a neatly designed PWM area which looks quite appealing, The motherboard’s design also looks better than other red and Black theme motherboards. 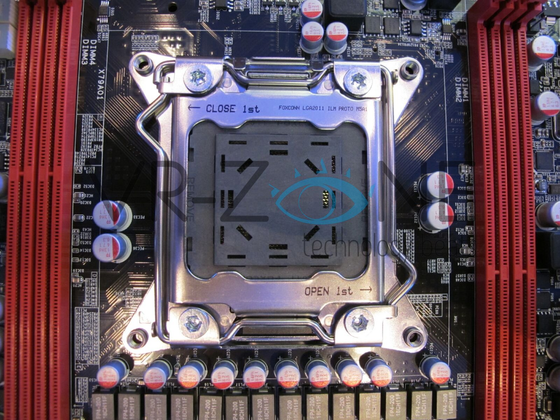 The Quad Channel DDR3 memory slots are also separated with a pair of slots located at the sides of the LGA 2011 socket. 4 PCI-e x16 slots allow for Multi SLI and Crossfire GPU support. A huge amount of Sata ports numbering upto 14 are included on the board along with other storage and connectivity options which include USB 3.0. A single PCI and Mini PCi-e x2 slots is also included. The Back I/O panel features many connectivity ports which include Dual Gigabit Ethernet, 1 PS2, 8-Channel Audio, SPDIF, Clear CMOS, E-Sata, Firewire and a couple of USB ports (Probably USB 3.0). 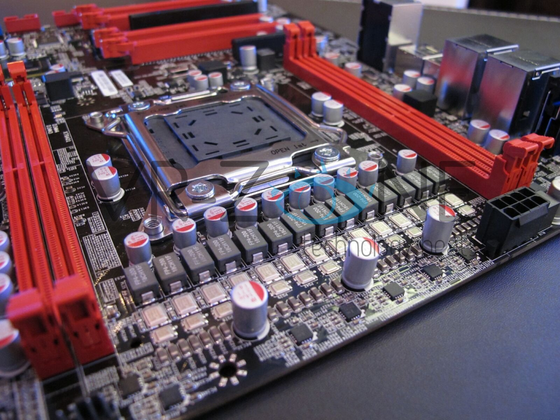 The motherboard’s expected release date would be in Q4 2011 with the launch of the Sandy Bridge-E processors. Detailed iPhone 7s Plus Motherboard Leak Shows Placement Positions For ALL Of Its Internal Components; Take A Look!